The Portland stop on Clark’s Story of Sonny Boy Slim tour—supporting the blues musician’s September 2015 release of the same name—was actually both announced and sold out several months in advance, not unlike the fervor surrounding his last outing here in 2013. The Roseland was packed from the moment openers Baskery took the stage, and the energy could not have been more fitting; a trio of sisters hailing from Los Angeles and Nashville by way of Sweden, Baskery’s brand of rowdy folk not only appealed to the already robust crowd, but actually brought everyone to their feet. Sisters Greta, Stella, and Sunniva Bondesson—who primarily play drums, double bass and guitar, respectively, with a dose of “banjitar” thrown in—often sing in heavenly unison over a backdrop of guttural guitar tones and down south stomp, generating a sound that can be best described as equal parts rugged and graceful. With sneering riffs and riotous pomp, it almost sounded like an Appalachian take on AC/DC; incredibly entertaining, but also substantive and sweet. The band handily won the crowd over by coming in hot and mounting to an explosive finish. It set the perfect entrance for Gary Clark Jr; holding a relaxed and centered poise, eyes closed, and his hat cocked at just the right angle, Clark struck his delectably red Gibson SG and led his backing band into the minor chord trod of “Bright Lights,” a key track from his 2012 debut, Blak and Blu. As soon as Clark starts to sing, a lifetime of devotion to the blues is instantly evident; this is someone who became a professional musician at the age of twelve and is now thirty-two. The finesse in Clark’s guitar playing, then, goes almost without saying: every lick, riff and strum is nuanced while still spontaneous, purist in application yet still scaling imaginative heights. Moving through various tracks from both his debut and the Story of Sunny Boy Slim—including “Travis County,” “When My Train Pulls In,” and “Shake,” Clark also threw in two covers during his main set: the Albert King-penned “Don’t Throw Your Love On Me So Strong” and the Albert Collins jam “If Trouble Was Money.” Clark’s more recent songs also show an affection of funk rhythms and soul stylings—maybe most evident by swaying into Sly Stone-style R&B with “Cold Blooded.” Moreover, his band was totally on point; backed by Johnny Bradley, Johnny Radelat and King Zapata on bass, drums and guitar, respectively, their loose feel perfectly made way for Clark’s spotlight-filling presence. Zapata stood especially tall as a guitarist, proving he could go technically toe-to-toe with his bandleader. After his initial set, Clark came back out for an encore that culminated in a delightful duet with the Baskery sisters on the Sunny Boy Slim track “Our Love,” as well as an acoustic rendition of the Robert Petway favorite “Catfish Blues.” It was around 11:15pm, two hours into his performance, when Clark turned to the audience and announced “I heard my time was up. I don’t care.” Without missing a beat, the band launched into Sunny Boy Slim’s opening cut, “The Healing”—reaching an emotional peak at the song’s guitar solo, capping the night off perfectly. Clark is, more or less, the best at what he does—and given his chosen path as a bluesman, this notion will likely only cultivate in years to come. Like Gary Clark Jr, Troy “Trombone Shorty” Andrews has been in music for the majority of his life; now thirty years of age, the New Orleans native became a bandleader by age six and saw his career pick up at age nineteen, following a number of musical collaborations in the aftermath of Hurricane Katrina in 2005. Andrews has also had a number of television appearances over the years as well, ranging from U2 and Green Day’s performance marking the reopening of the New Orleans Superdome in 2006 to a faithful profile on the city’s music scene in the Dave Grohl-produced 2014 docuseries Sonic Highways—as well as hitting up nearly every late night talk show with his group, Orleans Avenue. True to form, Andrews’ opening set at the Keller was nothing less than a barnstormer; a bombastic combo of funk, soul, prog, and Zeppelin-worthy guitar riffs, he and his band thundered from one song to the next, infrequently taking a break to address the crowd. Andrews alternated between playing his trombone, his trumpet, and strutting the stage with a microphone in hand and rock star bluster. Of note was guitarist Pete Murano’s playing, which stood out thanks to virtuoso spots and a Jimmy Page-esque edge. But make no mistake: this is a pure representation of the New Orleans’ sound: brass-heavy and funk inflected pomp, with musicianship that always complements and never comes across as self-indulgent. But no wall of sound could have prepared the Keller auditorium for the vivaciousness of Sharon Jones—who, at age 59, is surely one of the most energetic performers at this or any other year’s Soul’d Out; not long after she took the stage, Jones undid her shoes and left them to the side, dancing irrepressibly and moving from edge to edge amidst her ten person-strong band, the Dap Kings. A cancer survivor still undergoing treatment, Jones has a genuine fearlessness that encompasses and inspires her audience; she invited a handful of people onstage while several more attempted to jump past security and join the chosen few—Jones going so far as to look them in the eye and pointedly exclaim “I said no more!” One by one, Jones danced with each attendee before ushering them away. This was all in the first ten minutes. Jones’ voice, too, was soaring tonight; between songs like “New Shoes,” the Johnny Otis-penned Gladys Knight classic “Every Beat of My Heart,” the requisite inclusion of “When the Saints Come Marching In,” and an encore featuring an extended “100 Days, 100 Nights” (maybe the group’s best known track,) the soulstress never, not once, sounded tired or downtrodden. 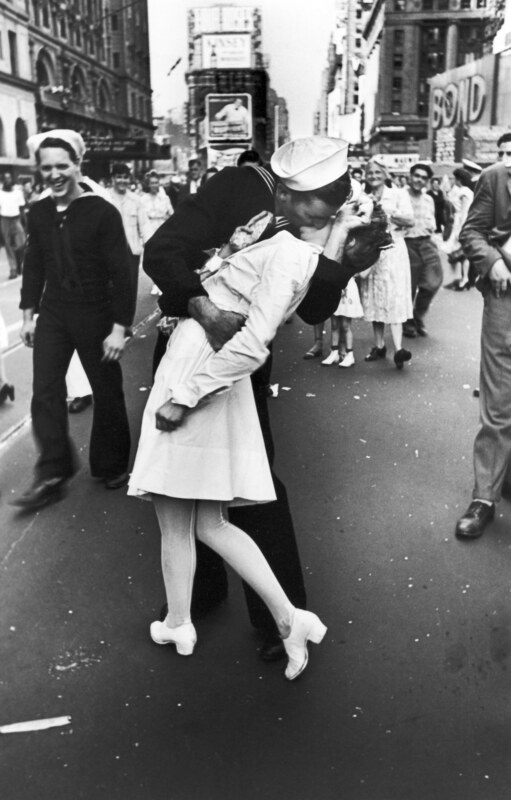 It moved just about everyone there; among the many scenes in the audience were a young couple dancing into the aisle and embracing in a kiss, looking not unlike a certain famous World War 2-era photo. Despite Jones’ set lasting just over an hour, there was no question that everyone in the Keller had just seen a tireless and enduring performer—harking back to acts that did not rely on a multimedia stage show or lighting. She carried a crowd of thousands with nothing but charisma and tried & true talent, outperforming many artists over half her age. Personalities like hers enrichen live music and make it exciting and unpredictable—upholding the magic that is born in moments seen firsthand, and not just online the following morning. Anderson .Paak is well aware that he is bona fide superstar material. It would explain the pure charisma radiating from every pivoted dance move, every beat from his drum kit, and every impeccably delivered vocal during his hour-long set at the Roseland on Saturday night—one day after his latest release, Malibu, officially got the vinyl treatment, landing in record stores around the country in time for Record Store Day 2016. It also comes just a few months after Dr. Dre announced that Paak had been added to the Aftermath roster, alongside luminaries Eminem and Kendrick Lamar. Following opening sets by Seattle MC Dave B and the soulful BJ the Chicago Kid, the venue was at a fever pitch while waiting for Paak and his group, the Free Nationals, to take the stage around 9:30pm. Of note was a demographically diverse crowd; music lovers young and old, ranging from hip hop aficionados to indie rock fans to jazz devotees—including KMHD DJ Derek Smith, who introduced the band. Smith suggested what was probably on everybody’s minds: this might be one of the last times anyone would get to see Paak in a venue of this size. Given the many sonic bases Paak’s music covers, it would not be a huge surprise to see him stake out a primetime performance at next year’s Grammys and book the much larger Keller Auditorium for his next tour. From Malibu cuts like “The Waters,” “The Season/Carry Me,” and “Put Me Through,” there is poignancy in Paak’s music that brims both with youthful hip hop edge and beautiful authenticity; not only can he sing and dance, he can write. The expressiveness of his music that manages to fuse jazz, soul and rap is amplified tenfold in the live setting; he was knowingly holding 1,300 people in the palm of his hand, and he did it with a smile. To top it off, he added a few bars of David Bowie’s “Let’s Dance” to set closer “Am I Wrong”—a small tribute that went a very long way—before bringing out Bj the Chicago Kid for an encore. All said and done, Paak could be poised for huge crossover success in the near future—and left a lot of people feeling like it was one of the most crucial sets they’d seen in a long time. In the annals of Portland’s recent concert history, a number of “I Was There” shows come to mind: Arcade Fire at Bossanova Ballroom in December 2004, Lady Gaga at the Wonder Ballroom in March 2009, and Kendrick Lamar at the Roseland Theater in October 2012—just nine days, in fact, before the release of his breakthrough album, Good Kid, m.A.A.d City. On Record Store Day 2016, Anderson .Paak joined that pantheon—or, at the very least, he could make you believe that he did.